We have a new website! Many thanks to our tireless web developer Marianne Hegedus, friend of the congregation and principle at MerMare Creative, to all of you who helped assemble website content (all of the words and images), and to this congregation who agreed to support this project this past Spring. 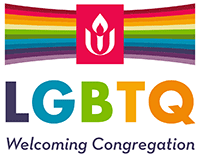 Marianne built the new site by customizing the WordPress Theme for Congregations developed by the UUA and used by many congregations throughout the country. Explore, enjoy, and tell your friends!